Hi all! Thank you for joining us with our last day of Introductions! These cute critters in Three Amigos are designed to help you relay your messages! Mix and match or just create your own signs! 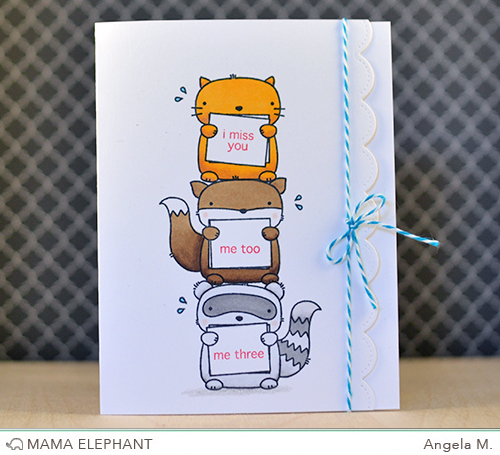 Kryssi created this simple but adorable card! So who doesn't like stackable animals?! 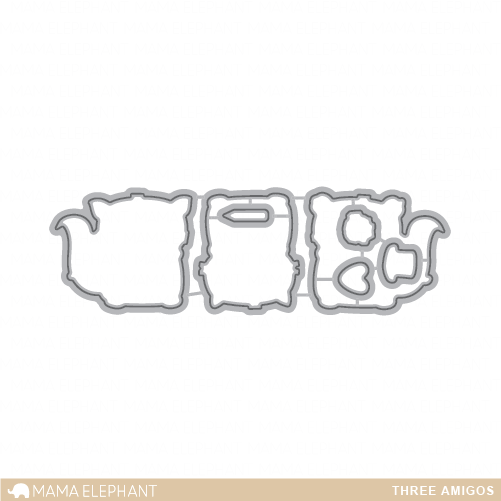 Join us tomorrow for Mama Elephant's February Stampede! More projects and Giveaways are coming your way! Oh my gosh oh my gosh!! I LOVE this set!!! So cute!!! Looooove the three stacked cuties! *squeal* eeeeeeeeeee!! This is such a cute set!!! Oh my goodness!!! Love it so much!!!! Putting that to the top of my list. They are so cute. These are just flippin adorable!! They are too cute! Love this stamp set! !! so cute! Love this fun set! So cute!! Love the set, i NEED to order now!! This is too adorable and so unique...LOVE!!! Great stamp set, love the card by Angela M.
So stinkin cute!! First time visiting your blog. I plan on coming back. Super cute stuff! Thanks for sharing! This has to be one of the sweetest sets I've ever seen! LOVE it! LOVE those Three Amigos! So sweet and love the sentiments! Versatile and a riot!